To invite my students to be kind to each other and to look for kindness being shared by others at school or at home, I gave each child an envelope filled with construction paper hearts…. I would send hearts home with my kindergarten class and ask parents to write “acts of kindness” that their child did. 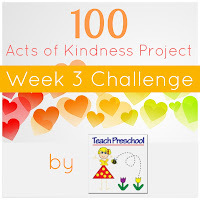 Our goal was to have 100 kind acts by Day 100 . And we did ! What a sweet way to celebrate the 100th day of school Donna! That is an awesome way to celebrate 100’s day! A blend of math and character building skills working along side each other! Super cool! What a great challenge Deborah! I also love that book. I am excited for my kids to wake up so that we can start cutting hearts and deciding who we want to give them to. Thank you so much for participating in the 100 Acts of Kindness challenge again this year! Just in case this book wasn’t mentioned in any of your posts, “Kindness is Cooler, Mrs. Ruler” is a really cute book about acts of kindness. 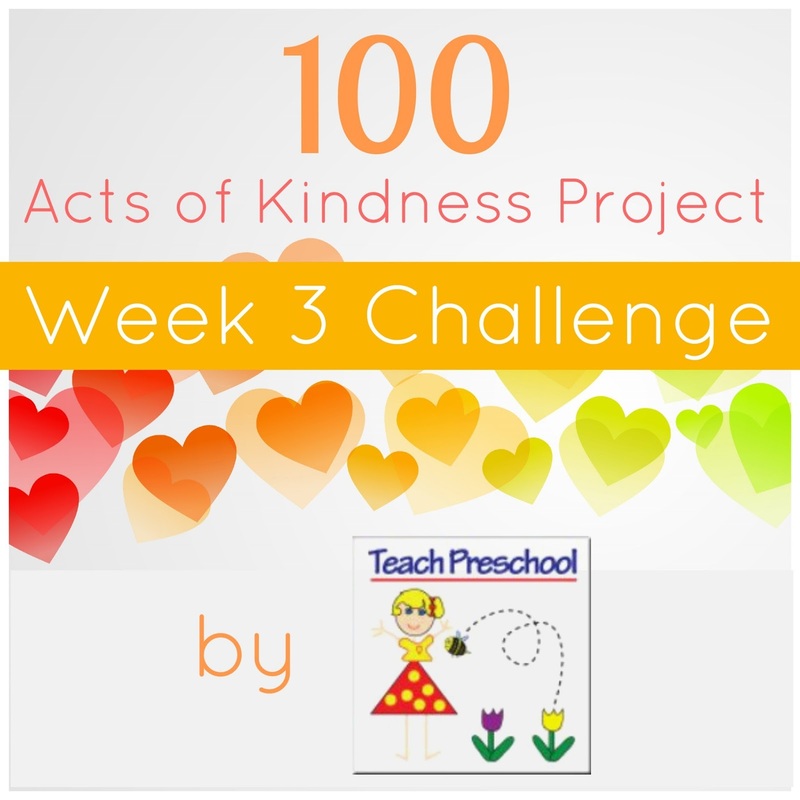 I’ve used the book and the act of kindness assignment with several age groups now- preschool, kindergarten and 2nd grade, and all the kids loved it. They feel very proud when they see their hearts displayed. I have not seen this book!!! Going to go and track it down!!! What a beautiful way to celebrate Valentine’s day! I think I will send some hearts to Aarya’s Preschool ( to his teachers and friends)! I bet that will make their whole day to get some hearts from Aarya! Terrific idea! I’m going to share it. This sounds like such a great book and I love how you have extended it to your own heartprints – such a beautiful way to encourage acts of kindness. Love this idea! The sharing of the heartprint is a great lesson for the giver and reinforcement for the receiver–fantastic!! !